Suz’s CrossFit Journey started in 2009. After a long battle with her weight, the mother of two decided it was time to invest in a personal trainer – BEST DECISION EVER!! He introduced her to the CrossFit methodology and she hasn’t looked back since. As soon as the first CrossFit box opened in Dunedin she had to join. CrossFit challenged her physically and mentally and the results changed who she is today in such a positive way. She represented Team CFD on an international level in 2012 and 2013 at the Pacific Regionals in Wollongong. She is living proof this process works, and now wants to share that with others. In 2012 Suz completed her CrossFit Level 1 cert and started coaching a new women’s only program out of CrossFit Dunedin. Suz’s favourite movements are cleans and hspu . Her least favourite movements are running and rowing. She won the ‘hero division’ for her age category at masters league in Christchurch and won the masters division of the Southern Crusade last year in Invercargill. 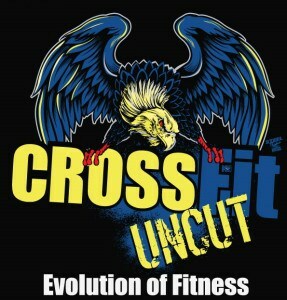 Angel has recently joined the CrossFit Uncut team in Admin and also manages the Social Media. She loves to get creative and has introduced a video testimonial series, Member Spotlight Monday, to the Uncut Facebook page this year which highlights a different member every week. Angel has been doing CrossFit for just over a year and a half, through which she found a passion for Olympic Weightlifting. After just a year in the sport she is a Junior National Champion and Senior National Bronze Medallist. She was introduced to CrossFit Uncut by her mum and now also works out alongside her younger sister and 68 year old Nanny. Lesley has enjoyed a variety of sports – age group swimming, Dressage, women’s rugby, and karate. But finding CrossFit and a barbell has been the most rewarding of all. When she started at CrossFit Uncut she had been virtually sedentary for 10 years and couldn’t run 400m without stopping. CrossFit works, and her goal for those in our classes is that they achieve what they are capable of in a safe and supportive environment. She loves that CrossFit is scalable so that everyone can experience a feeling of mastery. Although her favourite WOD would be anything with a heavy barbell in it, it is fair to say that she struggles with the gymnastics skills. What she has learned at Crossfit Uncut, though, is that with time and determination anything is possible. Her goal as a Coach would be primarily to help others learn this too. Lesley has achieved an impressive practical CV in the sport of CrossFit since beginning in 2013. She has twice been in the top 200 athletes in her age group after the CF Open and in 2016 made the top 100 after the Master’s Qualifier. In 2016 she won the New Zealand Boxfit Champs for her age group. She is a multiple record holder in Olympic Weightlifting in her age and weight category and has just begun competing in Powerlifting.